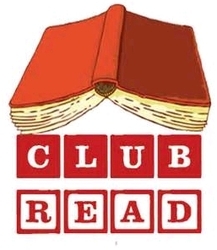 Welcome to Club Read 2014! As for the past several years, we are a group of serious readers who are varied and thoughtful in our reading and would like to log/journal publicly our 2014 reading. The group is also for those of us who like to follow what other LTers are reading. Pronounced like "Club Red". While all are welcome, please take a look around to see if we're the kind of readers you'd like to hang with. Many of us have been together on earlier versions of Club Read, but we always welcome new readers. What to do: Create your own thread, naming it whatever you like but please use your LT user name in the title. This is so others can easily find you, if they would like. Feel free to include any and all reading you do, if you like (i.e. magazines, individual stories, work-related or school-related texts), it's your journal. Also, a few lines of commentary about each entry, even if you are linking to your review elsewhere, would encourage interest and thus, conversation - but, again, it's your journal. This year, once again, volunteers have offered to set up and manage some of our regular threads, including monitoring the What Are You Reading? threads and Interesting Articles threads to make sure they get continued when they get too long (PolymathicMonkey), and quarterly and year-end Best Reads threads (Colleen/NanaCC). Thanks also to Lois/avaland for the book stack photo and to Edwin for the new Club Read 2014 logo. THANK YOU ALL! Author Theme Reads. This group will focus on Thomas Mann as a year-long author and also continue reading French and Japanese authors from the past two years. Literary Centennials, "a group for celebrating the 100th, 200th, etc. birthdays of major authors by reading their works." Monthly Author Reads This group reads a different author each month, chosen by group vote. Read Mo Yan, a group for "reading and discussing the works of Mo Yan, the 2012 Nobel Laureate in Literature." Reading Globally. The 2014 theme reads are: Sub-Saharan Africa, travel literature, Central America and Mexico, postwar Germany (1945-now).